Google Developers Group Belo Horizonte is a community for developers passionate about Google technology. Although it is an independent community, it is also part of the worldwide Google Developer Relations program. Their next event will take place on November 5th at Hotel Ouro Minas. 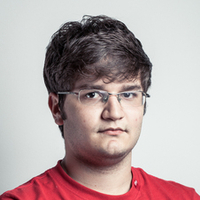 One of the event’s speakers will be Beto Muniz, a Toptal developer. Beto will give a talk from 10:15 AM - 11:00 AM entitled “Remote Work: Less Stress, More Productivity”. In his presentation, Beto will discuss the model of working remotely and the ways in which companies use remote work, highlighting risks, concerns, benefits, and the responsibilities of the remote worker.